Premier League starlet contract. Manchester United youngster Timothy Fosu-Mensah is set to sign long term deal in the next few days, according to Daily Mail. Manchester United youngster Timothy Fosu-Mensah is set to sign long term deal in the next few days, according to Daily Mail. 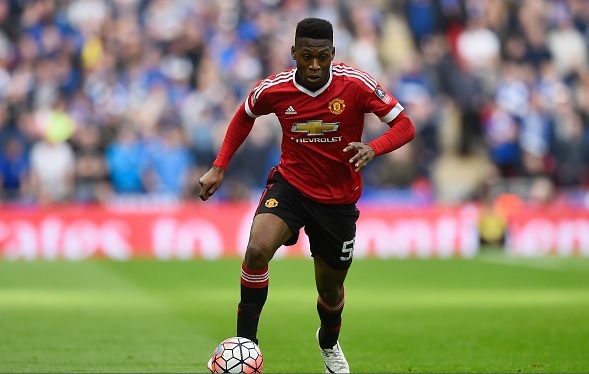 Manchester United are planning to offer a long term deal to young defender Timothy Fosu-Mensah later this week. The teenager made a debut against Arsenal last season under former Man United manager Louis van Gaal. He made eight Premier League appearances last term for the Old Trafford side. The 18-year-old defender made an impressive start and has been rated very highly. But Red Devils new boss Jose Mourinho has not yet given him a chance in the Premier League, he has been using Antonio Valencia on the right-back role. However, he has featured in the League Cup and Europa League. Furthermore, Fosu-Mensah has also faced several injuries in the past. The Portuguese boss is well aware of his talent and is planning to seal his future by offering him a long term deal. The reports believe that he is set to be offered a new contract in the next few days. The former Ajax defender is yet to earn his senior debut for his country Netherlands.